Filed to: WTF is white civil rights?Filed to: WTF is white civil rights? WTF is white civil rights? 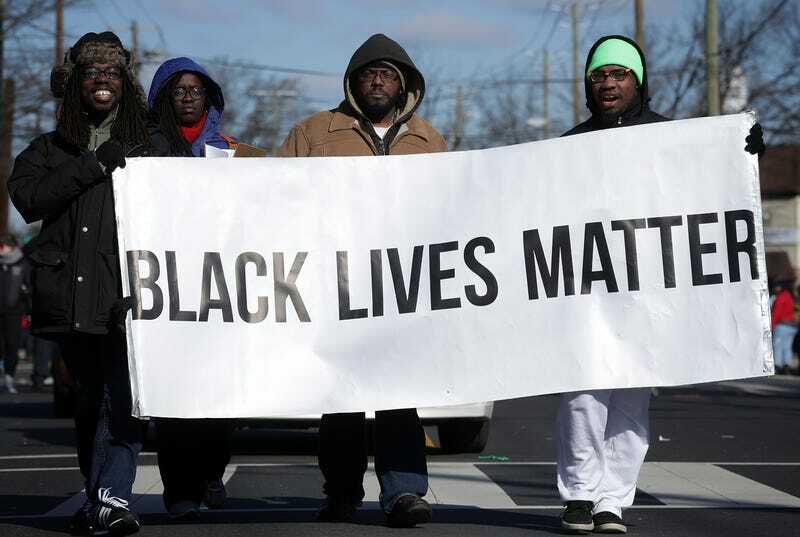 Members of Black Lives Matter DMV participate in the annual Martin Luther King Holiday Peace Walk and Parade January 18, 2016 in Washington, DC. The Washington D.C. chapter of Black Lives Matter is planning to counter protest the stupidly-named “White Civil Rights Rally” scheduled to be held near the White House at Lafayette Park on Aug. 12, which is also the anniversary of the deadly white supremacist rally that was held in Charlottesville, Va. According to Fox5DC, Shut It Down DC, will also be helping to organize the protest. Last month the rally was announced after the National Park Service approved an application for it to be held. Jason Kessler, who organized the infamous Unite the Right Rally last year is also behind the Lafayette Square protest. Of course, given what happened last year, Black Lives Matter DC has expressed concern for the well-being of the counterprotesters and plan to have training classes available to attendees to address those concerns.